Yootha Joyce, Brian Murphy, Norman Eshley et al. 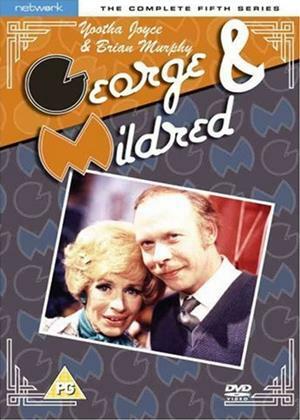 Complete eight-episode fifth series of the British sitcom spin-off (from Man About The House), about upwardly mobile landlords George (Brian Murphy) and Mildred Roper (Yootha Joyce), trying to adapt to life in a posh suburb. In this series, George buys Mildred a flashy coat for their anniversary..on a credit card he found; Mildred, sick of their lack of progress up the social ladde,r is hot on moving to Australia; George suspects Mildred of an affair when she takes up driving lessons; George cleans out the goldfish bowl, liberating the poor thing to a life in the sewers in the process and Mildred decides she wants to go to the Torie's Christmas dance but George has other plans. Episodes included: 'Finders Keepers? ', 'In Sickness and in Health', 'The Last Straw', 'A Driving Ambition', 'A Military Pickle', 'Fishy Business', 'I Gotta Horse' and 'The Twenty-Six Year Itch'.